We often trade taste for convenience when it comes to coffee. 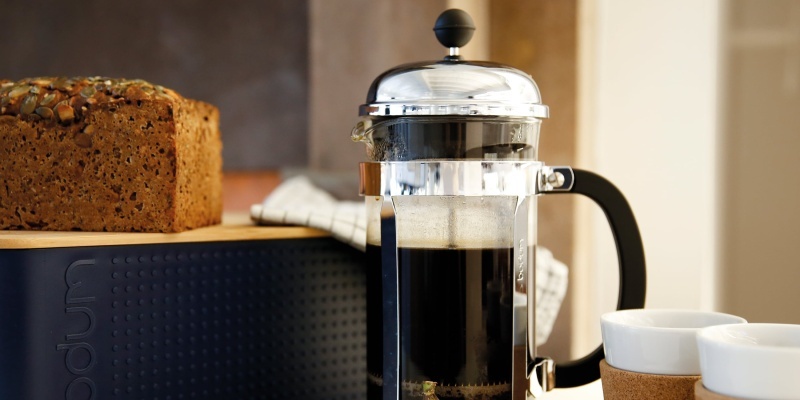 With an electric grinder and a beautiful French press, the Bodum Coffee Set helps you slow down and enjoy the hot, freshly-ground java. What is the difference between arabica and robusta coffee? Robusta is generally cheaper, but more bitter. Arabica coffee tends to offer better flavor, at a higher price. 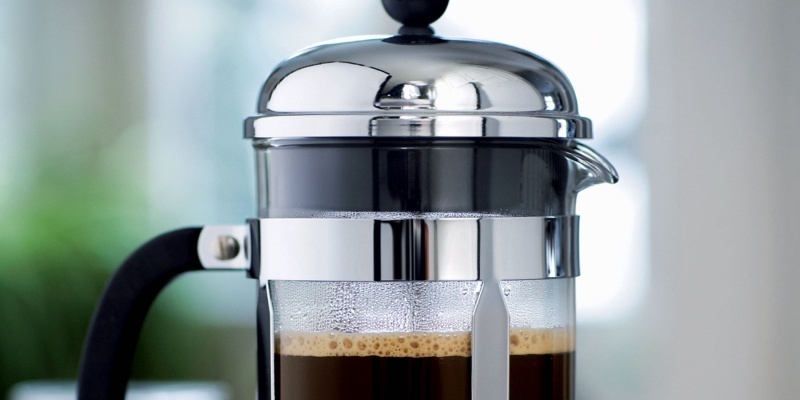 What is a French press? It’s a kind of manual coffee maker that brews fresh grounds. What is the best coffee set under $100? 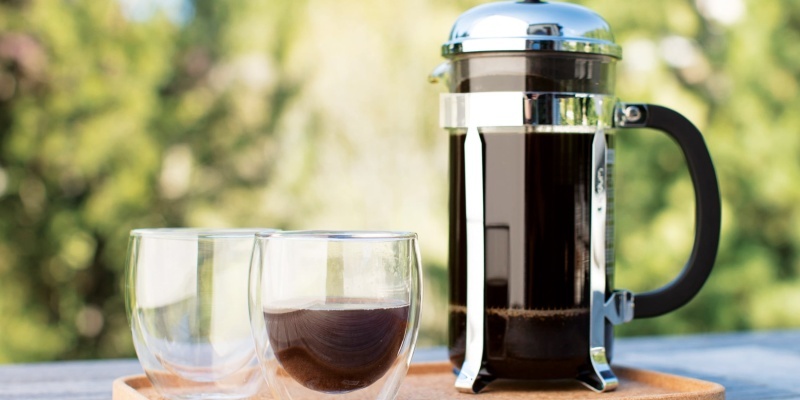 The Bodum Coffee Set offers high-quality craftsmanship at an affordable price. For the true coffee lovers, instant coffee will always be a disappointment. As soon as the boiling water scorches those stale grounds, all the enjoyment is lost. 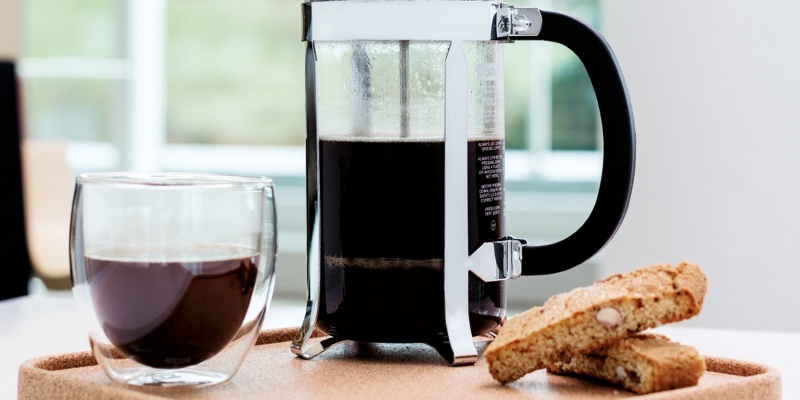 The Bodum Coffee Set offers a more satisfying brewing method. The set includes an electric grinder, with several settings to suit your taste. You also get a stylish French press, which strains every last drop of flavor from those pulverized beans. As with most ingredients, coffee tastes best when it’s fresh. As soon as you break the shell of each wondrous bean, the delicious flavor starts leaching away. Of course, grinding your beans by hand can be a chore. Many instant coffee drinkers are more interested in the caffeine contained within their coffee, rather than the stimulus of delicious java. 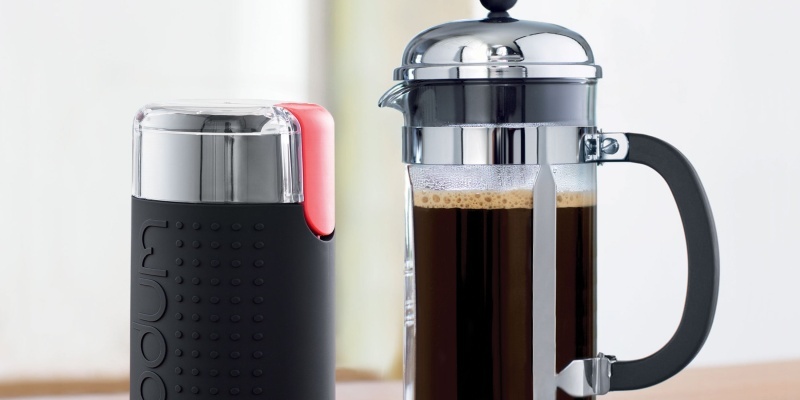 With an electric grinder and a beautiful French press, the Bodum Coffee Set helps you slow down and enjoy the hot, freshly-ground java. But with the Bodum Coffee Set, fresh grounds are easy to come by. The included Bistro electric grinder does all the hard work for you. 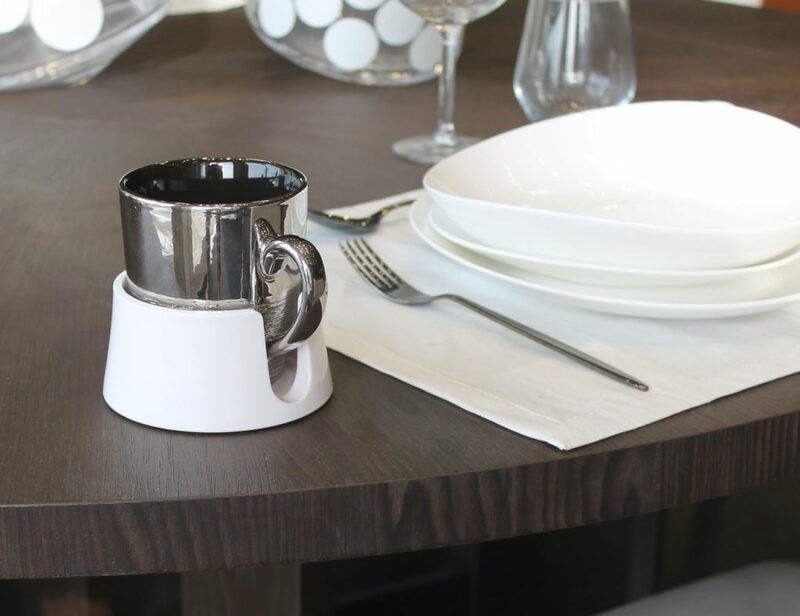 The Bistro grinder also gives you total control over the process. You can judge the coarseness of your grounds through the transparent lid, while the simple controls allow you to switch between pulse action and continuous grind. In addition, this grinder is easy to clean and very durable, thanks to a stainless steel construction. The other half of this set is Bodum’s Chambord French press. This beautiful coffee maker combines elegant 1950s design and modern eco-friendliness. To enjoy a delicious brew, you simply fill the container with water and pour in your grounds. After a few minutes, you push down the filter to clear the liquid. The press is see-through, with a shiny chrome-plated lid. The polypropylene handle provides good grip, and the Chambord holds 34 ounces of liquid. For reference, that’s enough for three to four cups of delicious coffee. 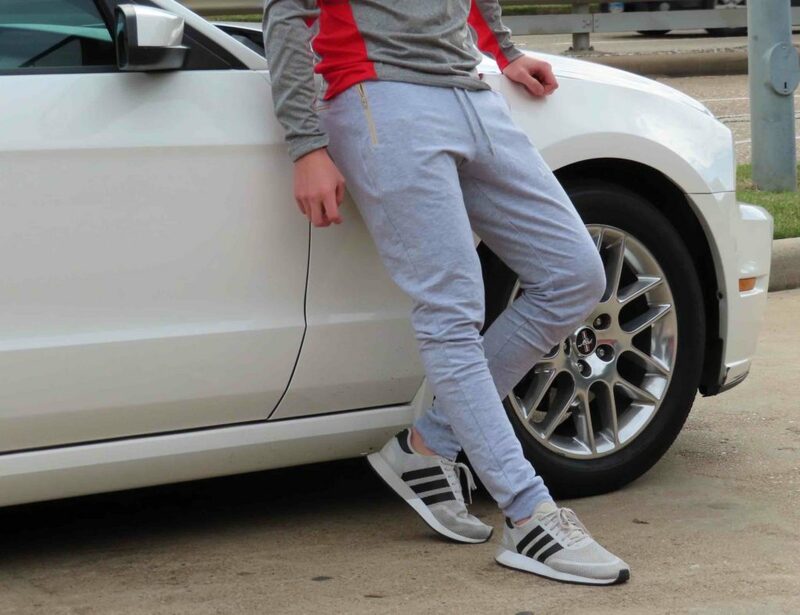 The best thing about this set is that it won’t slow you down in the morning. You can fill your grinder the night before, and simply press the button to start the grinding. You then tip the grounds into your French press. After a few minutes, your fresh coffee will be ready to enjoy. 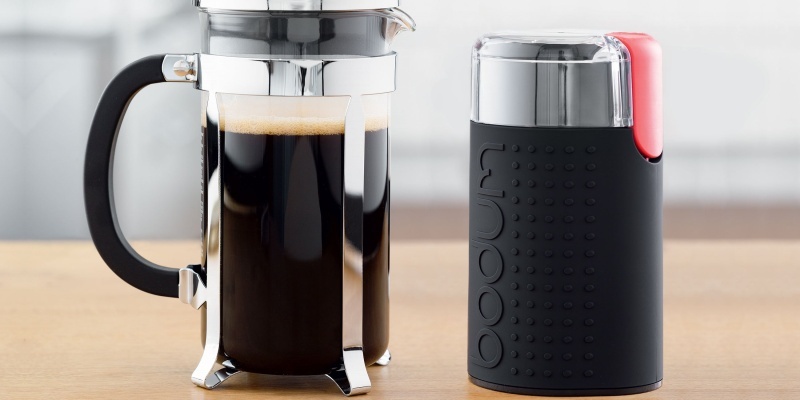 Bodum has been designing coffee makers for decades, and it shows. The quality of this coffee set is outstanding. It’s a shame that large parts of these products are made from plastic. However, Bodum has been careful to ensure their chrome-plating process isn’t harmful to the environment.